As a well known firm, we also manufacture and export a large variety of Rubber Tubings. These are well equipped and are highly demanded by our clients. These are fabricated with pure Silicon Elastomer and can be sterilized & Autoclavable. 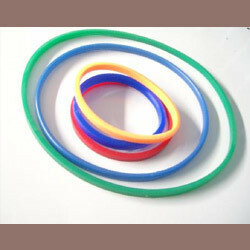 Some of them include: Rubber Gasket, "O" Ring and Silicon Rubber. In the series of Food & Pharma Grade Silicone Rubber Tubings, we are also offering a quality range of SiliconeO Ring all around the world. These are well designed by the skilled engineers and efficient workers of the company. The products are reliable and are easy to handle as well. We are offering these products at affordable rates. Looking for Rubber Tubings ?